This was taken just after siesta time.. In case the pic isn’t too clear, those men are playing cards in the middle of the field. 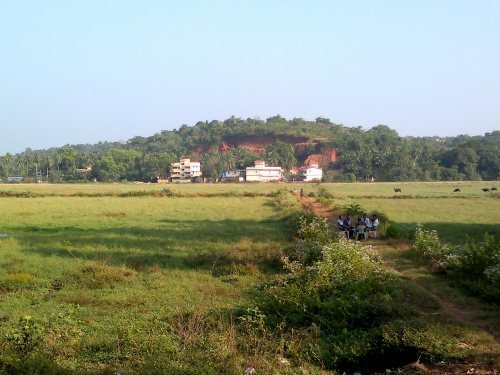 Couldn’t resist taking a pic The hill beyond, however, is a sad indication of where Goa is headed..